Besides the most classic touristic tours and the most common destinations, such as San Pietro, Colosseum, Fontana di Trevi and via del Corso, Pantheon and many other places that you should visit at least once, Rome also offers a large quantity of different and curious itineraries to discover real Roman atmosphere and lifestyle. After visiting the most popular destinations, the suggestion is the further you get away from the beaten tracks, better your Italian stay will be. Here you are with a list of four wonderful places in Rome that you should visit before going back home. Italy is very famous for its large outdoor markets full of multicolored vegetables and fruits, different kinds of breads and other typical food. 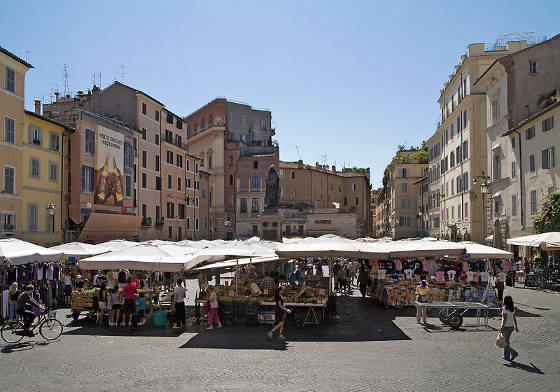 Rome has so many markets and one of the most ancient and famous is in Campo de’ Fiori Square. It’s not far from the famous Piazza Navona, it means “field of flowers” and it has been the setting for daily food market since 1800. It is in the piazza only in the morning and if you go early you can find the counters full of fresh food. Near the market, you can find Palazzo Farnese, one of the most beautiful buildings in Rome which currently houses the French Embassy headquarters. have fun and relax. 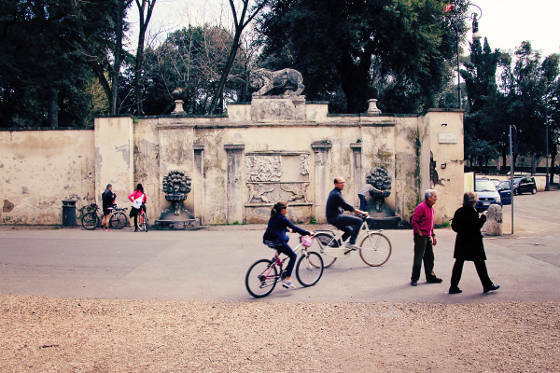 In fact, Villa Borghese is the best destination for bikers, runners and skaters as well. Families with their children come here to have a relaxing walk, people with animals come here to have a run in the green of the park and old people often chat on the benches. Visiting this park by bike is a really great experience. If you want to breath the real air of Rome and really live in the Roman atmosphere, you should have a walk in Trastevere district. 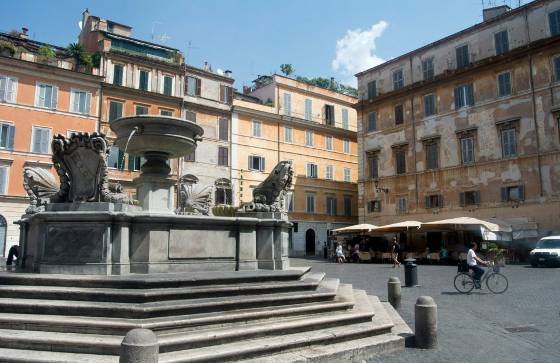 This area of Rome is one of the most cosmopolitan districts of the city and it has a long and rich history, because Romans, Greeks, and Jews used to live next to one another in the past. Today, “Trasteverini”, the inhabitants of Trastevere, are considered the “authentic Romans”, known for their dialectic use of Italian, for their easy approach to life and their passion for authentic and traditional food. 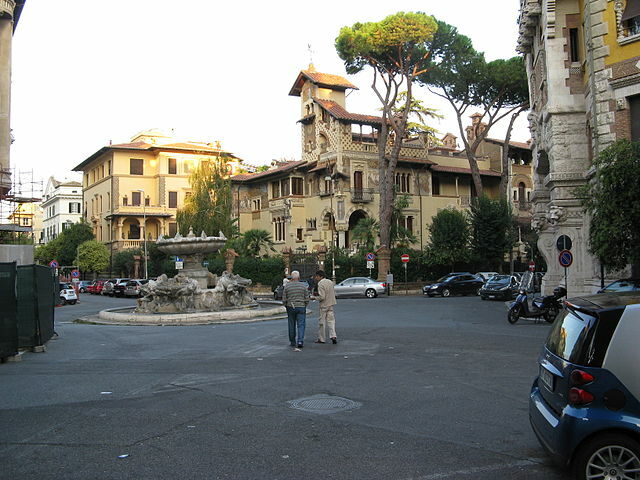 Coppedè in a very rich and elegant district of Rome, located between Via Tagliamento and Piazza Buenos Aires. Modern Construction Limited Company build a housing area in 1915. Coppedè was the architect called to design the architecture of the area and it became “Coppedè district”, where you can find almost thirty buildings palaces and buildings all around Piazza Mincio. The style and decorations (full of moldings, arches, rich decorative cornices) of the district reminds imperial Rome and it is one of the most beautiful attractions in Rome. Following these tips you will have the opportunity to visit the real Rome and to actually breath local atmosphere. If you want to learn more about Italy and the Italians, overcoming common clichés, you should also attend one of the Italian language schools of Rome, meet Italian people and attend language and culture classes.